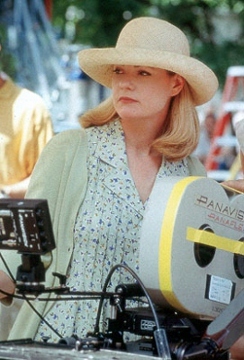 Directed and co-written by stand-up comic Bonnie Hunt, Return to Me (2000) feels several decades out of place...but for almost all the right reasons. 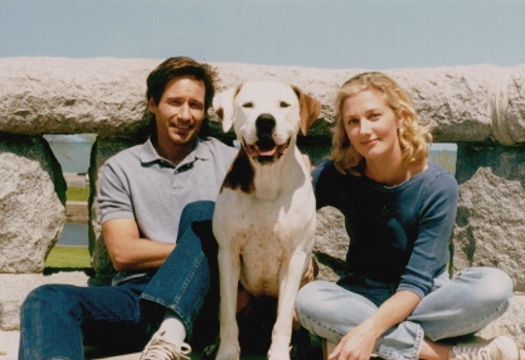 Our story revolves around Bob Rueland (David Duchovny), an architect who---without venturing too far into spoiler territory---is separated from his wife and wading through unmarried life. 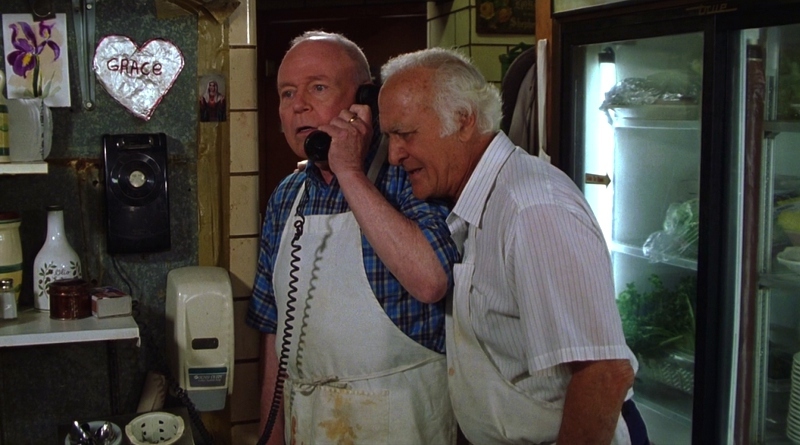 Things change when Bob meets Grace (Minnie Driver), a waitress at grandpa Marty's (Carroll O'Connor, in his last film role) Irish-Italian restaurant. The recipient of a recent heart transplant, Grace feels a strong attraction towards Bob and the feeling is mutual. Of course, there's a reason for the attraction that they're not aware of...and neither are their friends, who take turns encouraging the potential lovebirds. Soon, the truth comes out, and they all have to deal with it. So yeah, about that plot. It's a tall order for any film (romantic comedy or otherwise) to pitch that story with a straight face; after all, our suspension of belief can only be stretched so thin. At least one early near-miss between Bob and his future crush are even punctuated with a not-too-subtle "heartbeat" effect, insisting that they're magnetically linked for all time, etc. And, of course, it wouldn't be a romantic comedy without a few extraneous moments of slapstick, plenty of scenes with "the fellas" and/or "the girls" and, naturally, that third-act separation in which our star-crossed lovers eventually find each other again. Not to mention, how many movies named after popular songs are actually any good in the long run? I mean, besides for A Hard Day's Night, Walk the Line, Stand By Me, Pretty Woman, Boys Don't Cry, Man on the Moon, White Christmas, Running on Empty. and...ok, fine. Scratch that last point, I guess. Either way, Return to Me falls squarely in the "good enough" camp of rom-coms from the era (see also: Serendipity, Kate & Leopold, etc. ), enough so that it's a pretty safe bet both genders will enjoy themselves. The performances are more than capable, it's well-shot and confident, and the Rat Pack soundtrack is a nice touch. More than anything else, Return to Me is almost effortlessly funny at times, from witty comebacks to amusing throwaway lines by minor characters along the way. Hunt's direction is terrific, especially considering this was her first (and only) time behind the camera for a feature film. In other words: even if the plot sounds eye-rolling or you spot the ending a mile away, this one's fun while it lasts and has held up perfectly well over the years...aside from Bob's cell phone. Originally issued on DVD by MGM almost fifteen years ago---in a relatively slim package that director Hunt apologized for during an included commentary track---Return to Me finally gets a second chance on Blu-ray after being licensed to Olive Films. Though it's kind of an unlikely format choice overall, the timing is right for Valentine's Day and I'd imagine that die-hard fans will appreciate the modest upgrades included here, mostly in the A/V department. Presented in its original 1:85:1 aspect ratio, Return to Me looks very good and certainly more impressive than MGM's out-of-print 2000 DVD. This is a clean and relatively crisp 1080p transfer that appears to have been sourced from different elements; I'm not exactly what source materials were used (or when)...but the lack of dirt and debris is certainly welcome and there's little to no excessive digital manipulation on display here, including heavy noise reduction or edge enhancement. Overall, this represents a nice little upgrade for a film that, while not virtually ambitious for the genre, is nice to look at and offers occasional bursts of color, texture, and detail. Fans should be pleased. NOTE: The screen captures featured in this review are strictly decorative and do not represent Blu-ray's native 1080p resolution. The audio comes through cleanly in DTS-HD 5.1 Master Audio; indoor scenes sound fairly claustrophobic, but the music cues (in particular, the title track played live in an early scene) open up the atmosphere considerably and carry a nice amount of weight. Aside from those music cues, rear channels are only used for occasional background ambiance, such as inside the cozy restaurant and during busy outdoor sequences. Overall, it's a fine presentation though a touch inconsistent early on, and I doubt anyone's going to be disappointed with this one. Unfortunately, no optional subtitles have been included during the main feature or extras, which seems to be Olive Films' worst habit. Not surprisingly, the plain-wrap interface only includes separate options for playback, chapter selection and bonus features. Loading time is fast with no trailers or advertisements beforehand, aside from the Olive Films logo. This one-disc package arrives with a promotional insert and artwork similar (but not identical to) the DVD release. Included here (and curiously absent from the 2000 DVD) is the film's Theatrical Trailer; it's in fairly good condition but only presented in 480i. 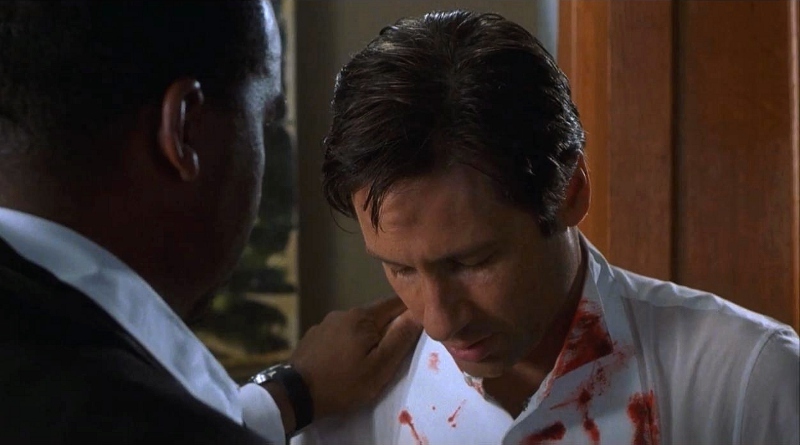 Otherwise, we also get everything from said DVD including a fantastic feature-length Audio Commentary with director/actor Bonnie Hunt and co-writer Don Lake, one lonely Deleted Scene and a Music Video for Joey Gian's "What If I Loved You". These remain pretty slim pickings overall (especially considering Hunt's candid comments about MGM's lethargic attitude toward bonus features), but at least this isn't a barebones disc. Return to Me is definitely something of a throwback genre entry; it's sweet and simple, and somehow survives the almost laughably convenient story that frames everything. 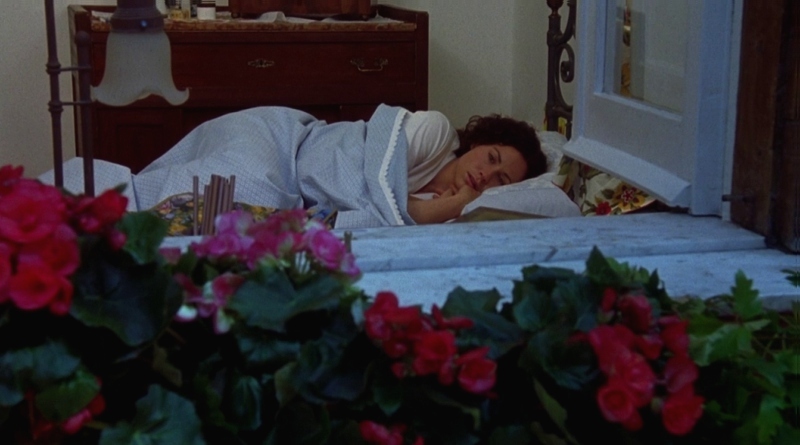 Had it not fallen into clichéd territory a few times along the way, Return to Me might've made a bigger impression in 2000 and might be more well-regarded today. But this still an enjoyable, heartfelt, and funny production that manages to throw a few sucker punches along the way, and its well-rounded performances and vintage soundtrack definitely sweeten the pot even more. Olive Films' Blu-ray proves to be a mild but welcome upgrade over MGM's out-of-print 2000 DVD, serving up a solid A/V presentation and the original disc's bonus features (plus the trailer). Unfortunately, the studio's traditionally high price points may keep casual or new fans from upgrading immediately; otherwise, this is a fairly solid package worth owning. Recommended.